You are in command of the most advanced starship in the universe.Your mission is to clear other planets of their inhabitants for human colonization, but as you progress through the sectors of this planet, you realise that you may not live to see your fellow humans again!Facing relentless Alien crafts, smart bombs, ground assaults and meteor storms.... Your new mission is to SURVIVE! 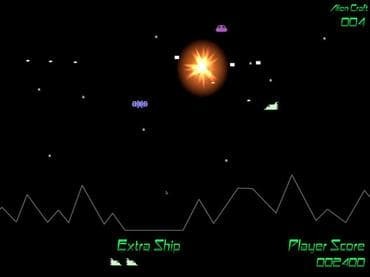 If you have questions about Annihilator Retro Classic game, please contact us using this form.